Thromboembolism seems to be an indicator or symptom of advanced disease rather than necessarily a cause of premature death in cancer patients, a study shows. The prospective longitudinal multicentre observational study covered 343 participants with cancer at one of five specialist palliative care units (SPCUs), including four hospices, in England, Wales and Northern Ireland. All patients were examined clinically at baseline by nurses for signs and symptoms of venous thromboembolism, history of thromboembolism, blood work-up, and bedside bilateral femoral and popliteal vein ultrasound scans. Screening measurements were repeated weekly. The study found that about one third of patients had a femoral deep vein thrombosis (DVT), but this was not associated with thromboprophylaxis, any foreshortening of life, lower or worse survival outcomes when compared with patients without DVT, or any significant symptom experience or burden other than limb oedema. The utility of thromboprophylaxis in people with cancer is therefore questioned, although it is readily acknowledged that these findings cannot be applied beyond the SPCU setting. 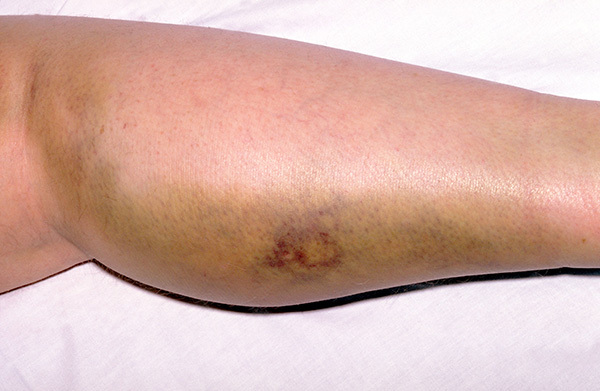 Venous thromboembolism is the most common preventable cause of hospital death, and people with cancer are at particular risk of developing the complication. Clinical guidelines advocate prophylactic medication for all patients admitted to hospital for acute care, but so far there has been no data for people with advanced disease admitted to SPCUs.